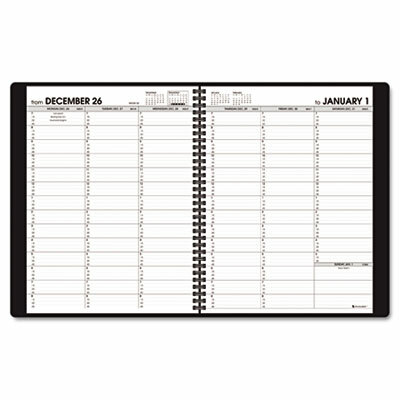 Provides quick access to current week with perforated page corner feature. One full column ruled for each weekday. Weekend column with Saturday appointment times. May also be used as a refill for PlannerFolio large weekly appointment book. Provides quick access to current week with perforated page corner feature. One full column ruled for each weekday. Weekend column with Saturday appointment times. May be used as a refill for PlannerFolio large weekly appointment book.